Bruce Hemphill . Picture: Desiree Swart. 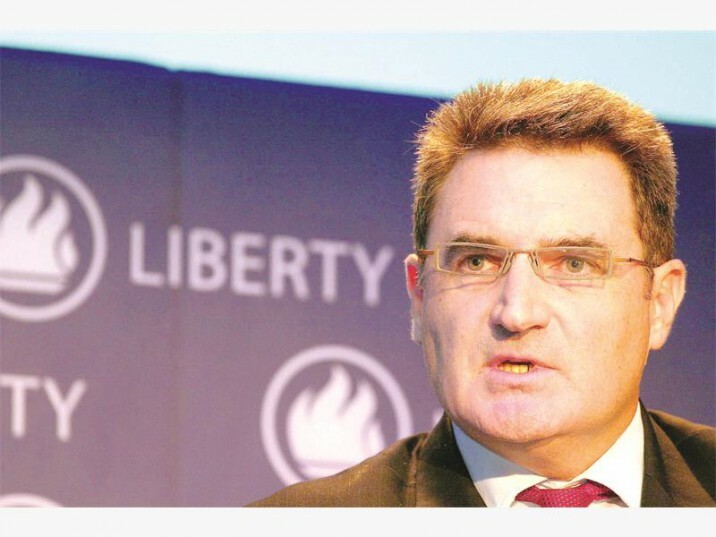 Liberty Holdings chief executive Bruce Hemphill will be joining the Standard Bank Group on March 1 to build the “third leg” of its business in the form of a wealth pillar, he said yesterday. Hemphill will head up wealth, insurance and non-bank financial services, which are currently a series of investments operating under the banner of existing pillars. “I’ve got to reconstitute those businesses into a new pillar for the Standard Bank Group,” he said after Liberty’s financial results presentation, for the year ended December 31. Hemphill said that at the end of 2012, Liberty’s turnaround was evident. At the same time, Standard Bank was talking about building a wealth pillar to its business, which would form the bank’s third pillar alongside personal and business banking, as well as corporate and investment banking. Hemphill said that when Liberty founder Donny Gordon resigned as CEO and left for the UK, what was a “massively successful” business under Gordon’s leadership started to lose its way. “All the drama that we saw in the financial crisis hadn’t been made in one year. In a long-term insurance business it takes time for that stuff to unravel and I think (Liberty) had been drifting and lost its way for many years,” he said. Having served in executive positions at STANLIB and Standard Bank, Hemphill took the top position at Liberty in June 2006 when the company was performing poorly. Liberty Holdings was then a pyramid holding company of Liberty Group Limited with a market capitalisation of R8.7bn. Under Hemphill, the pyramid structure was collapsed. He instituted a turnaround strategy that yesterday delivered what is being described as one of the best set of financial results in the group’s history. Liberty Holdings now has a market capitalisation of R36bn and headline earnings of R4bn, up 11% from 2012. “What we’ve done, through all the initiatives, (is) put this business back where it belongs. We’ve given it the strategic direction it needed and fixed it to get it working the way it should be working,” Hemphill said, noting that Liberty is now the market leader in its biggest customer segment – the retail mass affluent market in South Africa. Liberty is the largest insurance writer by risk premiums in the affluent market in South Africa with 27% market share. It is also the largest unit trust provider (incorporating money market funds) and in partnership with Standard Bank, has the largest bancassurance partnership when measured by the volume of new business. The 11% climb in normalised headline earnings for the year ended December 2013, represents a 28% growth in operating earnings. Long-term insurance new business sales were up 15% to R6.9bn, with long-term insurance cash flows up 38% to R6.3bn. Thabo Dloti, currently CEO of STANLIB will succeed Hemphill, while Seelan Gobalsamy will step into his shoes at STANLIB. Steven Braudo has been appointed deputy chief executive and will retain his responsibilities as CEO of Liberty Retail SA. All appointments are effective March 1 2014.